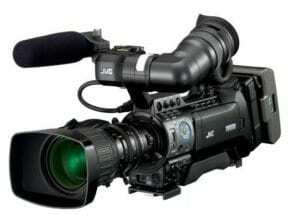 Southwest Audio Visual Inc. is Southwest Missouri’s and Northwest Arkansas’s full line dealer for Sony, JVC, and Panasonic professional HD camcorders. 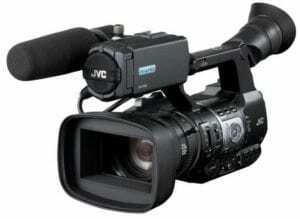 We stock the all new JVC ProHD line-up of high definition tapeless camcorders! The JVC ProHD camcorders are completely tapeless and record to dual internal SDHC storage media cards. The recording format is selectable for recording in Final Cut Pro native HD.mov or native .MP4 format. Recording resolution is selectable for 1920×1080 (1080p24/25/30, 1080i) or 1280x720p (p60/50/30/25/24). 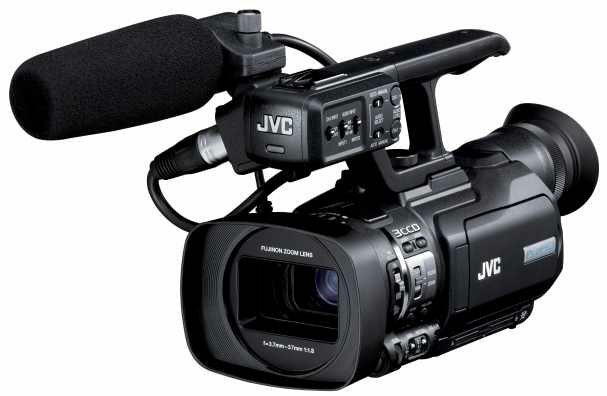 The GY-HM200U is JVC’s latest and most advanced compact handheld camcorder. 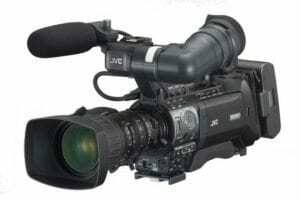 Based on the solid ergonomic design of the highly popular GY-HM100–currently in use by thousands of photojournalists at major television stations and networks around the world–JVC has upgraded the camera’s features and performance without changing the attributes that made its predecessor so successful. A new encoder delivers not only improved HD recordings, but adds support for standard definition (SD). Manual controls are now more intuitive than ever with an iris dial next to the lens, and a total of 6 user assignable buttons. And shooters will love its dual card recording capability that creates an instant back-up copy! The GY-HM150 offers the world’s fastest workflow delivering files that can be instantly edited in all professional level editing systems—all while producing recordings on par with broadcast cameras. The JVC GY-HM660 is a next-generation handheld ProHD camera that delivers exceptional imagery and features for news, sports, and independent production. Light, versatile and extremely easy to use, this camera is designed for fast paced ENG—offering superb low light performance, a long (23x) wide angle zoom lens, and expanded file interoperability from acquisition to air. JVC’s new GY-HM750 brings a new level of features and performance to its popular compact shoulder product line. Based on an upgraded 3rd generation digital processing engine, the HM750 offers improved picture quality and the ability to record either HD or SD directly to economical SDHC solid state media. Dual memory card recording now permits recording on both cards simultaneously, or individually for virtually unlimited recording time. And like other ProHD camcorders, it records in the native file formats of popular professional editing systems for the world’s fastest workflow. The GY-HM750 is now equipped with a 68-pin chassis connector that allows various modules such the KA-AS790 ASI adapter to be attached without external cabling–ideal for live microwave broadcasts. Whether you’re shooting news, commercials, documentaries or music videos, the GY-HM750 is the ideal camcorder. The GY-HM790U is JVC’s most advanced camcorder ever and the flagship of the ProHD line with solid state recording capability as well as studio functionality. It was developed to address the needs of modern broadcast and production facilities offering the highest level of HD picture quality in both 1080i and 720p formats. Whether used on the shoulder for electronic newsgathering, field production, or as a primary studio camera, the GY-HM790U is everything that a broadcast camera should be. The JVC GY-HM600U and GY-HM790U ProHD camcorders are available for rental too!